A newly digitized album of images shot by Ira W. Martin in 1927 captures the Frick mansion before it was transformed into a museum. 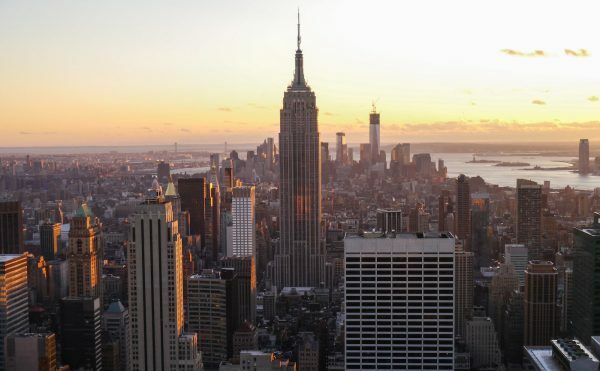 To enter the Frick Collection is to step inside what was once one of the most spacious mansions in Manhattan. 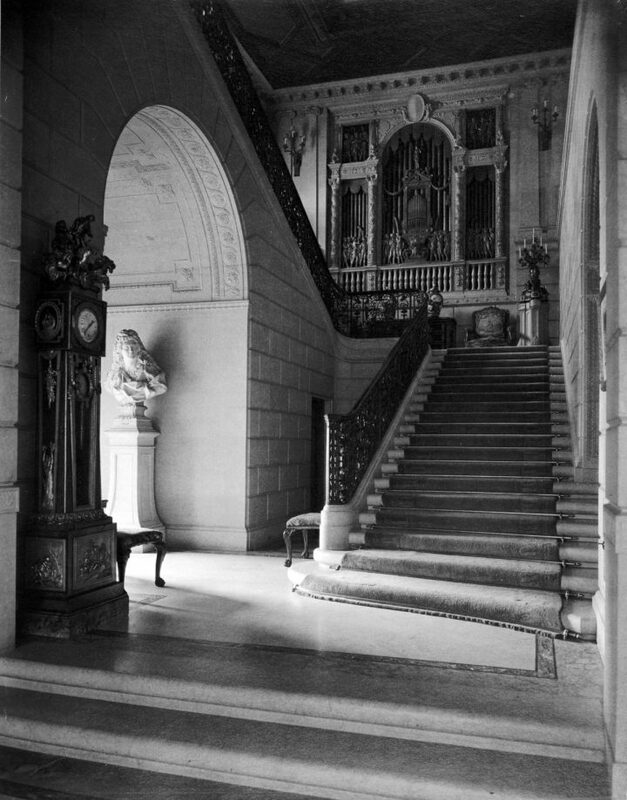 Today, with visitors filling its hallways, security guards at watch, and ropes sectioning off areas, it can be difficult to imagine the museum as it once was, as a private residence for Henry Clay Frick, his wife Adelaide Childs, and their daughter, Helen Clay Frick. Offering a window into that past is a digital album of photos, recently published by the museum, that captures the building when it was still occupied. 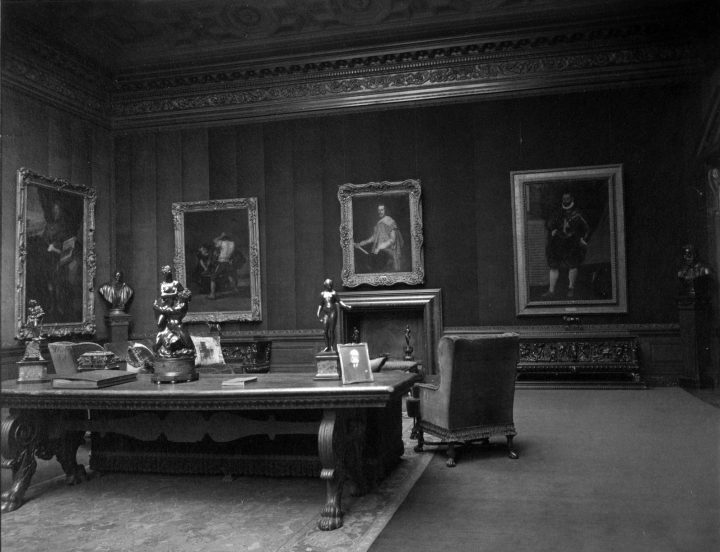 The suite of over 70 images was taken in 1927 by the photographer Ira W. Martin, who was also employed by the Fricks to photograph artworks for the Frick Art Reference Library. 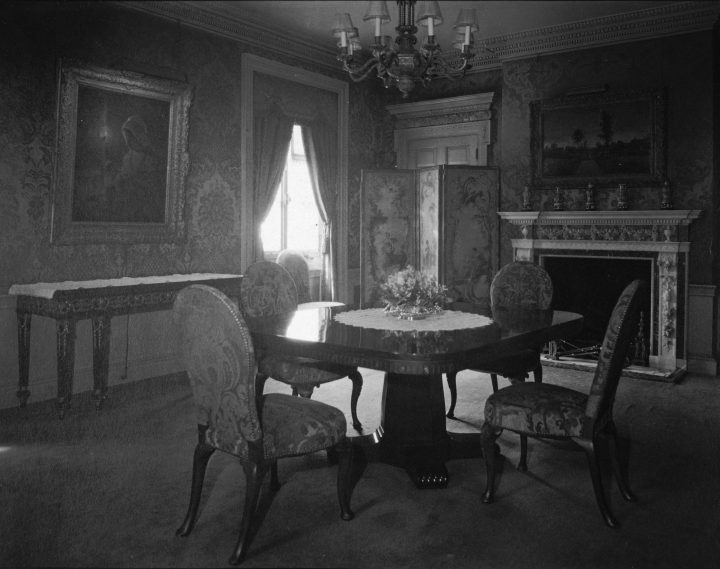 They represent the earliest known photographs of the mansion, which was never documented by camera during Henry Frick’s lifetime. The collector had passed away eight years prior, and Helen Frick was spending much of her time at Westmoreland Farm, a property she had purchased in Bedford Village. The museum believes only Adelaide resided there in 1927 — although she was far from alone, having had the company of about 23 servants. 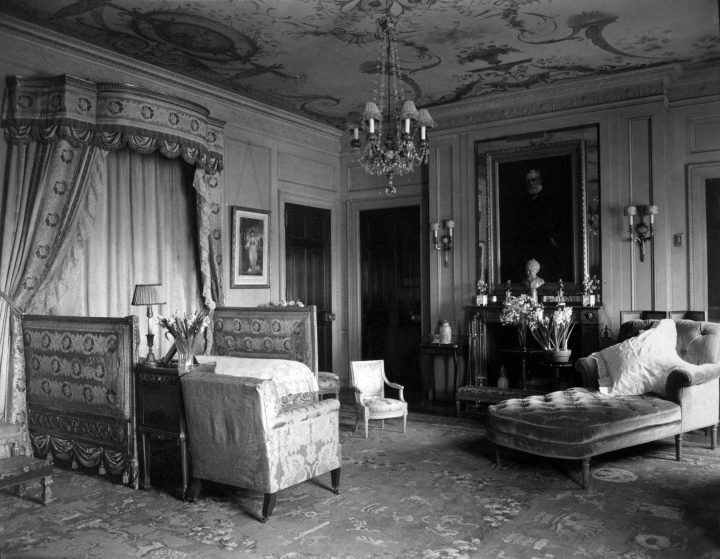 Most of the album shows the main level, which is open to the public today, but there are also views of the upstairs spaces including the family’s bedrooms, Adelaide’s bathroom, and the landing, where hung the only Renoir that Frick owned. The black-and-white photographs might not capture the household in its truest, most lived-in form — nothing is out of place! 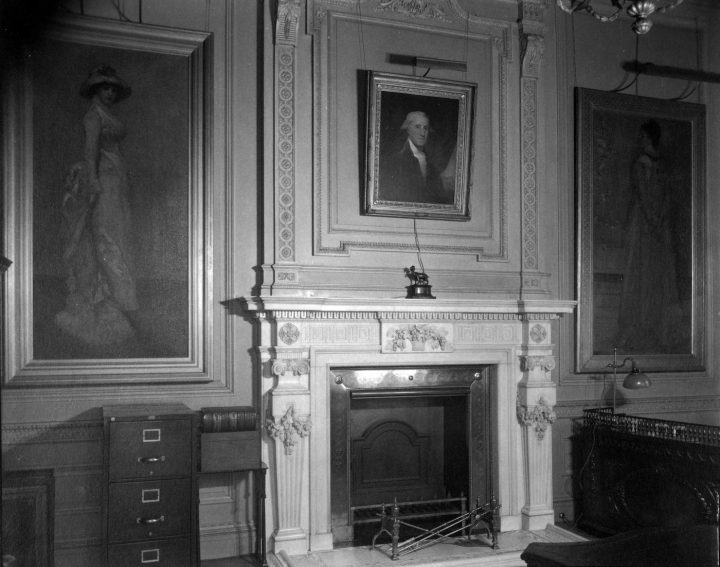 — but they clearly present Frick’s tastes: that he favored having Gilbert Stuart’s portrait of George Washington in his office, flanked by two portraits of women by James McNeill Whistler; and chose to hang paintings by Thomas Lawrence and George Romney in his bedroom. The family, it seems, enjoyed breakfast in the company of landscape paintings. 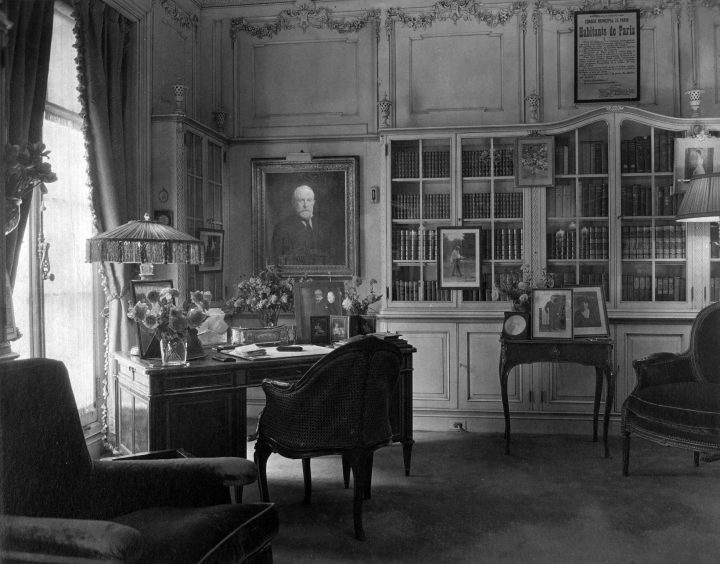 For the museum, the photographs provide an important reference to see how exactly Frick left his collection. 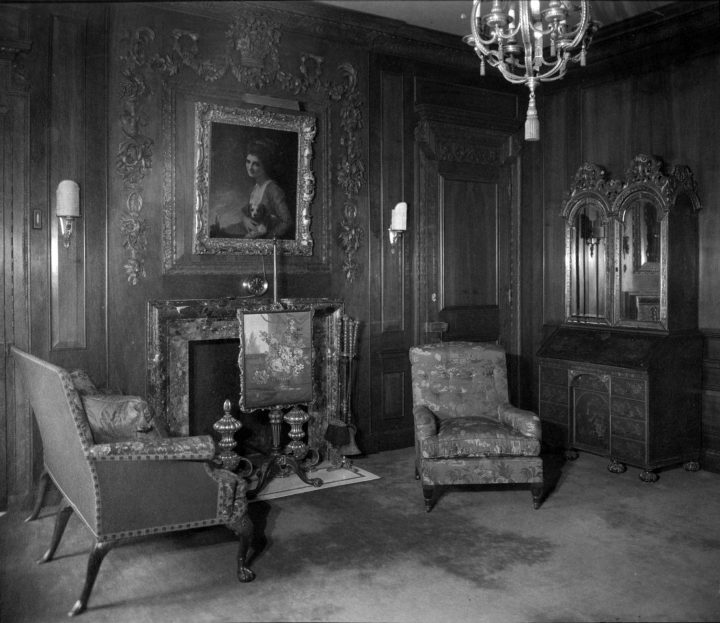 Unlike other collectors who chose to convert their troves into museums — like Isabella Stewart Gardner and Albert C. Barnes — Frick did not insist that everything remain exactly as it was upon his death. 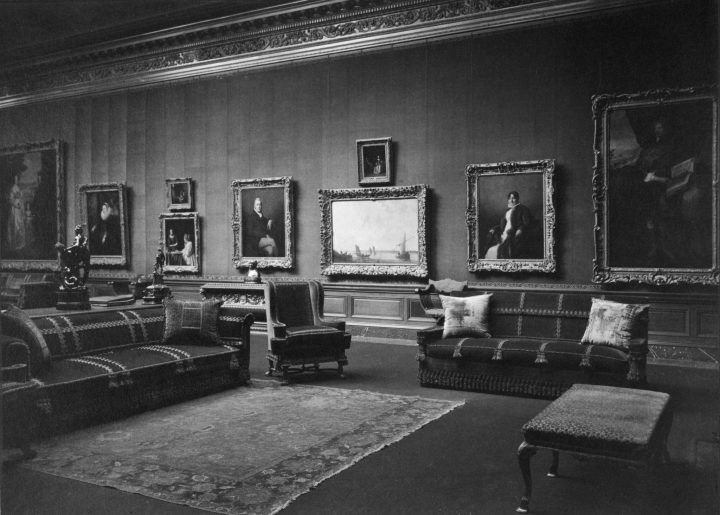 The museum has rearranged its galleries many times over since 1935, when it opened to the public, and much of Frick’s original decorating scheme has been lost to time. 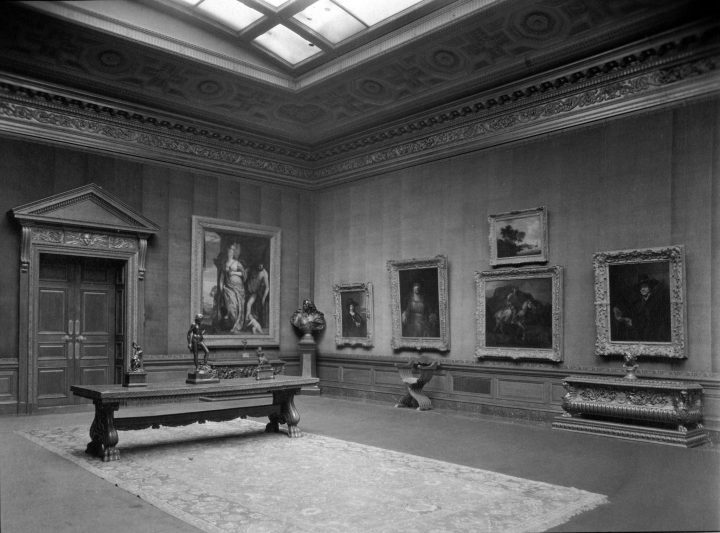 Director Ian Wardropper said he was surprised to see that Frick had chosen to hang two massive paintings by Turner in a corridor, where the viewing space is restricted; since 1935, the pair has resided in the museum’s largest room, the West Gallery, where visitors can step further back to take in the scenes. 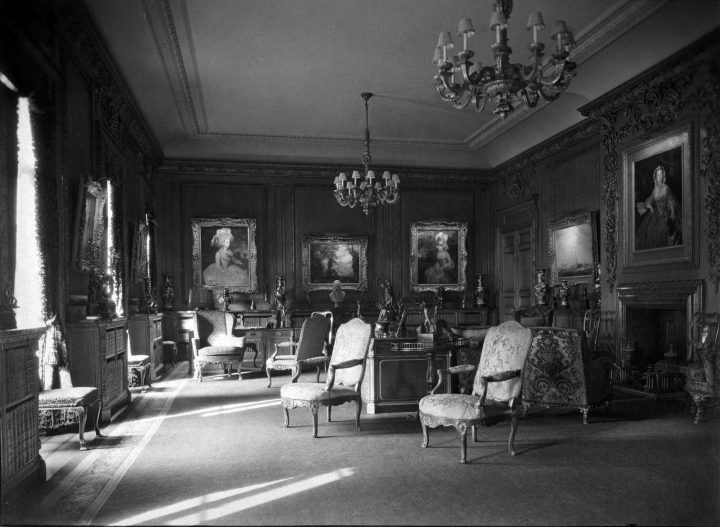 That gallery, too, has changed, most notably in its furnishings: Martin’s photographs suggest it served as an elegant salon, with couches and armchairs filling what is today an open viewing area. 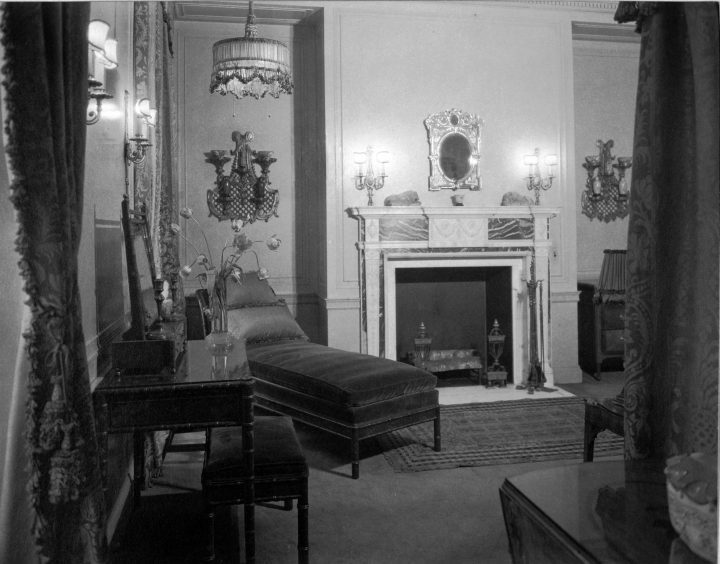 A number rooms have kept their original, artful arrangements throughout the decades. 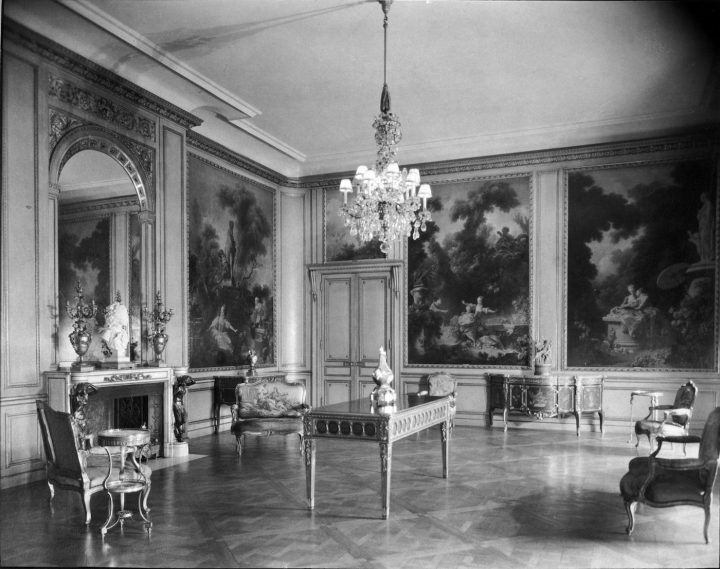 The paintings in the Fragonard Room, of course, cannot be changed, as the large-scale canvasses are set into the walls. 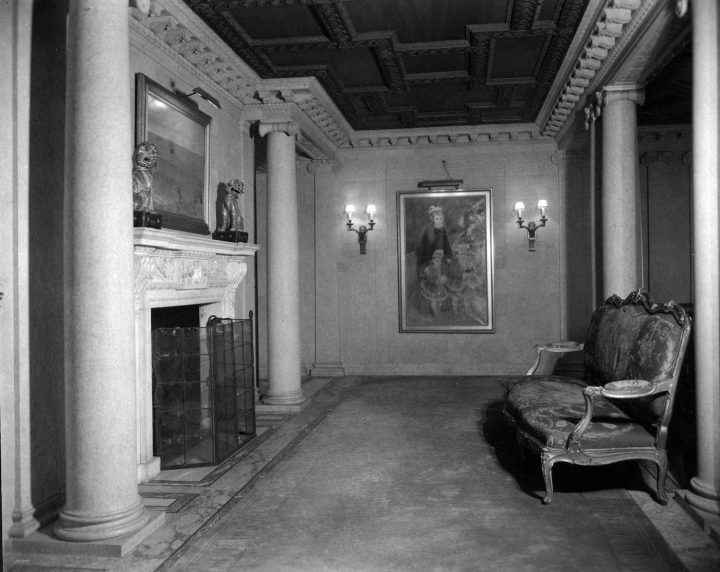 The museum also opted to keep the decor of the Living Hall largely as Frick had envisioned it. It’s unclear why exactly Martin was asked to photograph the house. 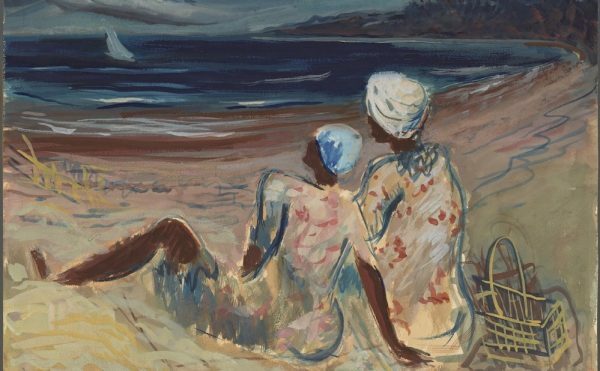 Wardropper noted that the painter Walter Gay had been commissioned to create paintings of its interior rooms in 1928, so it seems there was some interest in documenting the collection at the time. 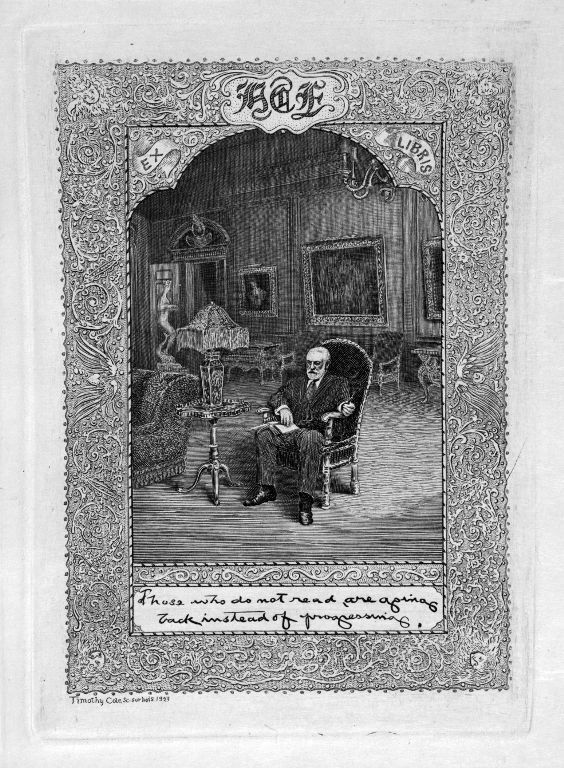 By the time Martin visited with his camera, Frick had already long laid out, in his will, that he intended for the house to become a museum after Adelaide’s death. 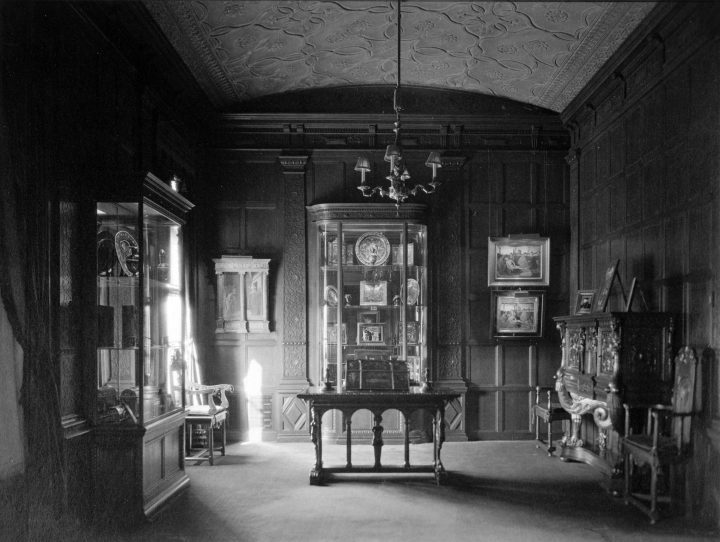 She passed away four years after the photographs were taken, and the trustees of the Collection soon began transforming the house into a museum. One of their ideas in 1935 had been to turn the second floor into additional gallery space, and they had workers tear down walls and some rooms. This never happened, however, and the upper level instead became office space (Wardropper noted that his office was originally Adelaide’s dressing room). 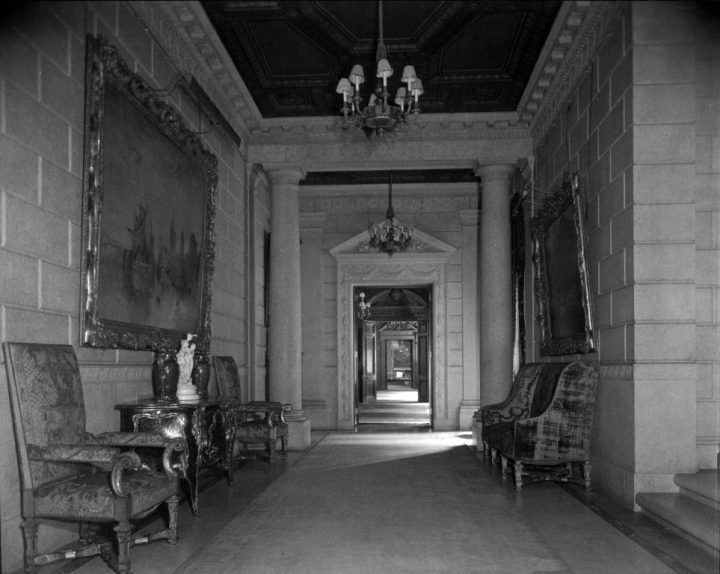 But the 1935 vision will finally be realized as part of the Frick’s ongoing plans to expand its space. 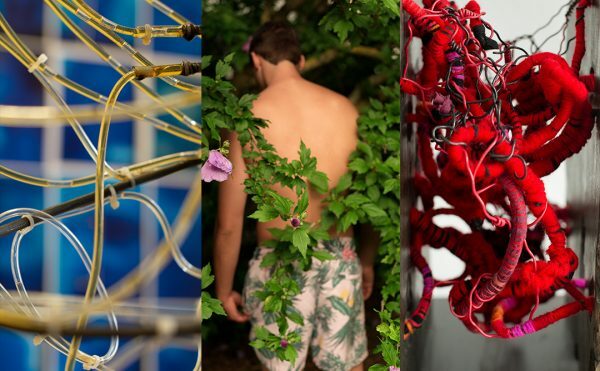 The museum announced in 2014 that it will open its second floor to display small-scale artworks and host special exhibitions, as part of a massive construction project that some people have criticized. 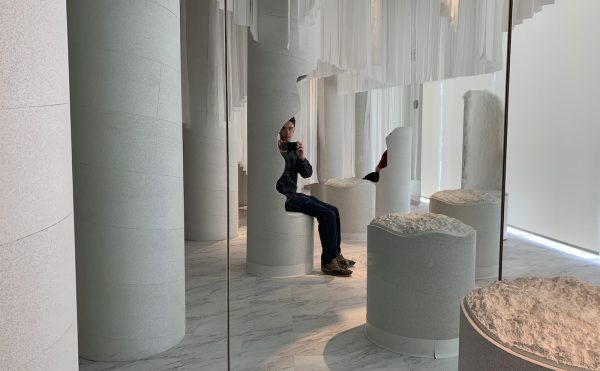 The increased access to the upper levels has itself received little backlash; if anything, visitors will likely welcome the adventure of roaming the Fricks’ former living spaces. 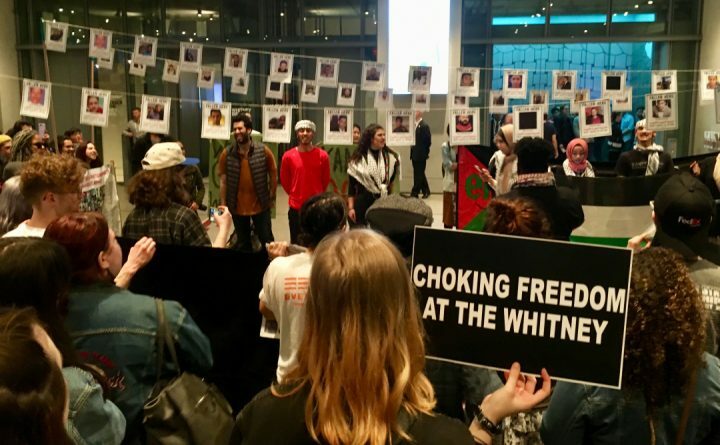 The rooms, of course, won’t appear exactly as their owners once decorated them, but the museum intends to highlight their origins in some way — perhaps through a small display, Wardropper said. 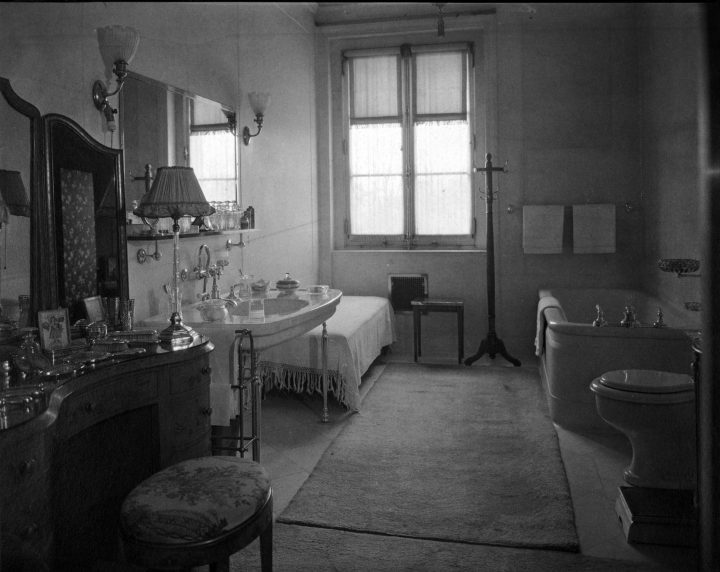 Martin’s photographs will certainly play an important role in revealing that history, inviting us to imagine these spaces as personal and long-cherished ones.